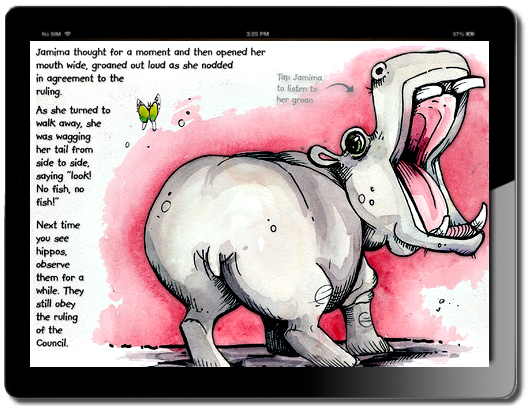 Journey into Africa and explore its iconic wildlife through charming yet interactive short stories! Readers are transported into a fictional landscape of the African jungle through delightful illustrations and real-life sounds from some of Africa's most-loved creatures - like the rhino, the baboon and the leopard. 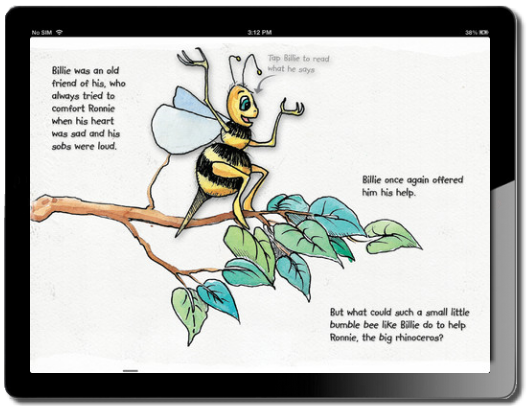 The importance of animal conservation is reinforced through each of the five engaging stories, with a valuable moral lesson to be learnt at the end. 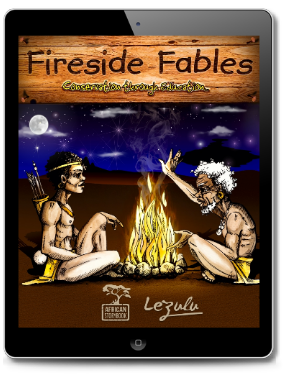 Lezulu's Fireside Fables series encourages learning and development through fun, easy-to-read material, with a review section at the end of every volume to help understand the main concepts introduced to them. 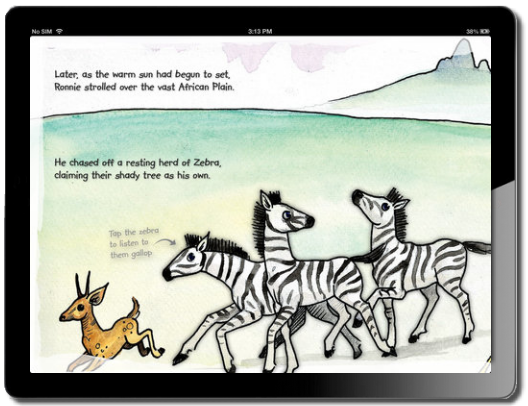 Read along with your child as they befriend Africa's most treasured wildlife through our fables. Get Lezulu's Free Android Version here! The Rhino Marshall Conservation Project, was established by Lezulu in 2005. The Rhino Marshalls are an elite group of Game Rangers and personal directly involved in the conservation of Rhinos. The Rhino Marshals are heroes created in the second book, “Ronnie and the rhino horn”. They come to the aid of two orphaned rhinos and ensure their safety and rehabilitation into the wild. The above concept is the formation of an elite group of conservationists that are involved nationally and internationally with the caring for Rhinos in the “wild” and in captivity (Zoo’s etc). The Rhino Marshals are real men and woman working as rangers and park wardens and are identified by name and nominated by the organisations that they are attached to. The formation of the Rhino Marshals has taken Lezulu one step closer to finally accomplishing their mission, which is to raise awareness of the real threat against Rhinos and to support conservation efforts in all parks, zoos and rhino rehabilitation centres. Lezulu wishes to support and equip all Rhino Marshalls in training and preparing for their perilous task against poachers and thereby ensure the long term sustainability of an endangered species. Should you wish to make a donation to aid the Rhino Marshall Conservation project please follow the link below. © Copyright 2015 Lezulu | Design by Chalk Board Design Co.